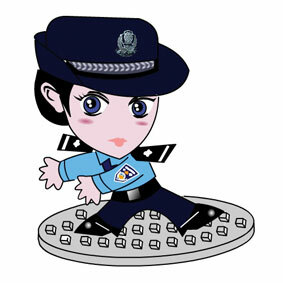 A couple of cartoon police officers respectively named "Jingjing" and "Chacha" have been patrolling all the main portals in South China's boomtown of Shenzhen, which largely benefits from flexible and quasi-free economic policies. On January 2, the image of the Shenzhen Internet Police, presented by Shenzhen Public Security Bureau's Internet Surveillance Division, officially went online for the first time in China. 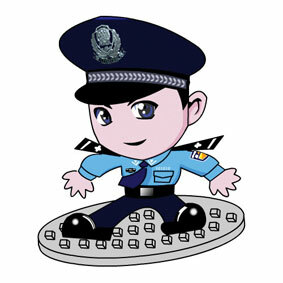 Now, whenever netizens visit Shenzhen's websites and online forums, they will see these two cartoon police figures floating on their screen. "In fact, the Internet police have long been in operation in China," said a man surnamed Chen, director of the abovementioned division's Information Center. "To better inform the online population that even the net has its laws, we have embodied the ever-existing online cop in two cartoon figures." "The significance of "Jingjing" and "Chacha" is to remind the online population to be conscious of safe and healthy use of the Internet, self-regulate their online behavior, and maintain a harmonious Internet order together." added Chen. Routine duties of the Information Center include handling all kind of cases relating to computer viruses, network invasions, network security accidents, harmful information, and other events endangering Internet information security, said Chen, adding, "The online community is a public arena. Therefore posting improper material at will is prohibited, as one single freewheeling post could stir big social trouble." Apart from a managing function, the online police duo, which is soundly equipped with a blog, a photo album, and an interactive section, also feature a great helping hand to mass netizens. Through the outlet, netizens have access to systematic Internet-related laws and legal regulations, which are routinely updated with the latest net policies and warnings of typical online crimes. 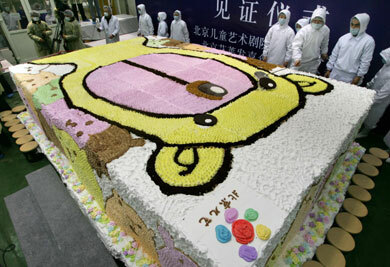 At the same time, the two cartoon images can also answer questions from netizens. Net users with problems and questions can reach "Jingjing" and "Chacha" via QQ (a domestic instant messaging service) and get their problems addressed and settled as soon as possible. Right now, there are six policemen in charge of the two cartoon figures. As the workload increases, more will be assigned to the job. Through the Internet, netizens can get in touch with and get help from the officers. So many choices: What to do? What to do? Could China's richest be the tax cheaters?